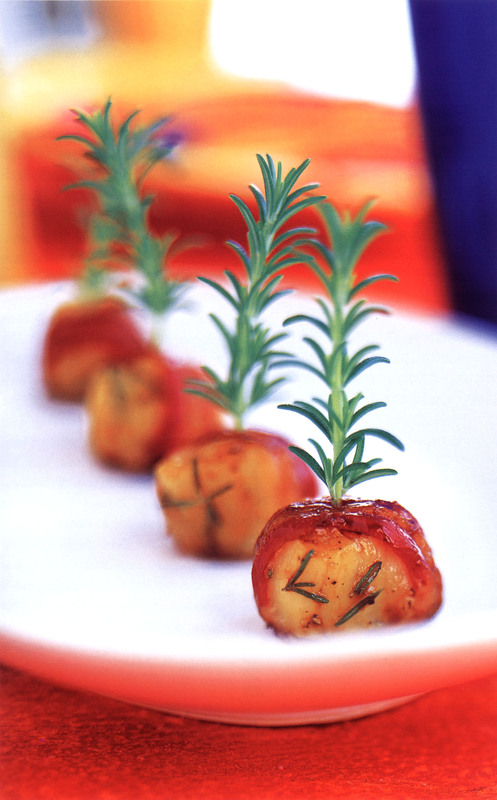 Smoky bacon embraces succulent sea scallops in this heavenly creation, and rosemary and teriyaki provide an earthy dimension. 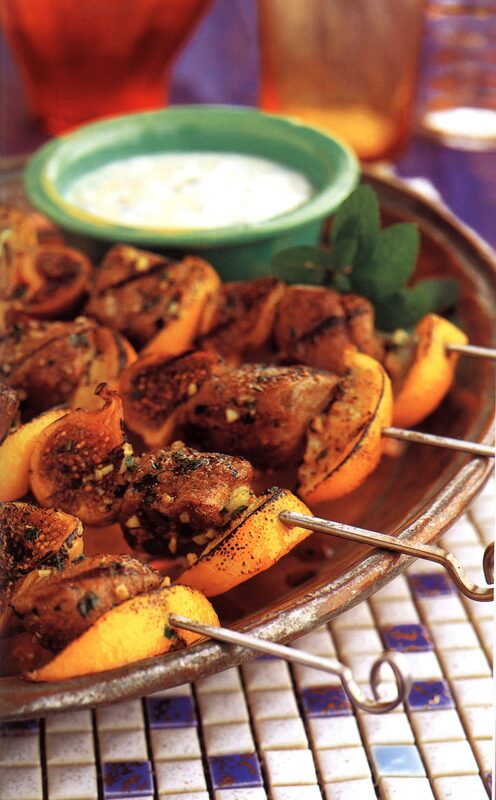 We use tamari in the glaze because we like its distinctively mellow flavor. 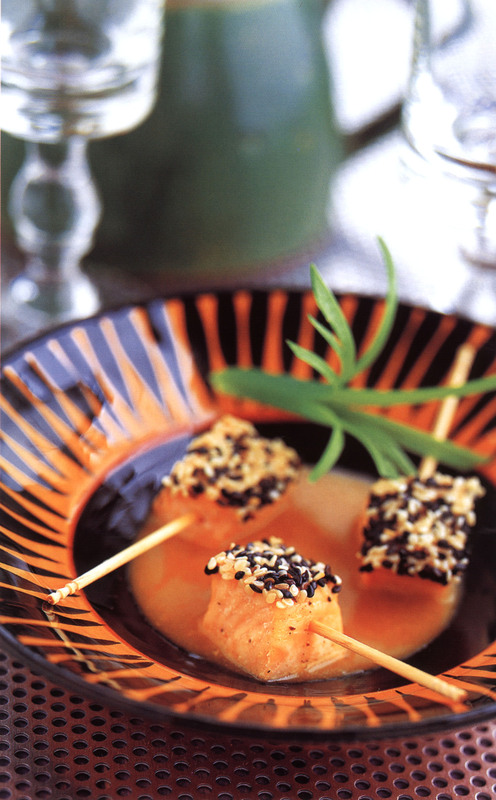 Delicately sweet, slightly acidic miso gives this Japanese-inspired dish its character. We prefer red miso, a paste made of soybeans, brown rice, and sea salt, for its rich flavor, dark color, and salty finish. 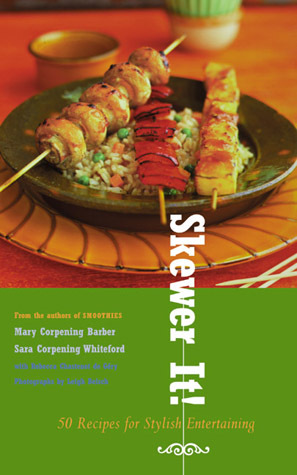 We created this splendid skewer as our tribute to the Mediterranean. Its intense sun-drenched flavor is best when buoyed by a bed of warm bulgur or couscous tossed liberally with olive oil, mint, and toasted pine nuts. 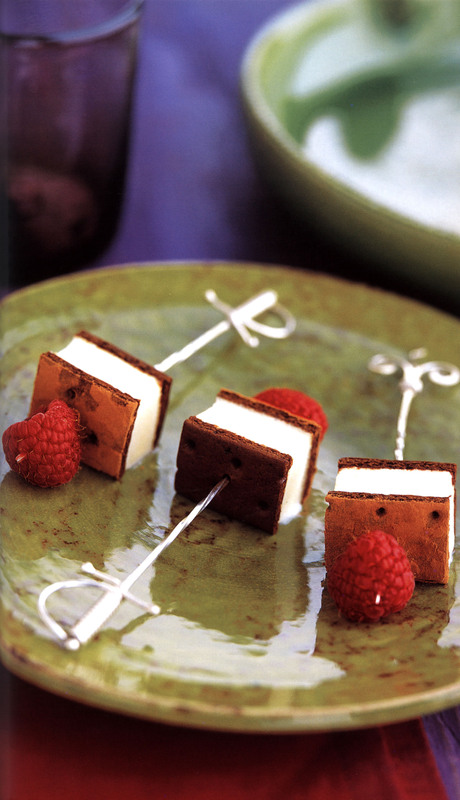 We’ve sold dozens of these desserts made with the classic vanilla ice-cream sandwich. But every now and then, Neapolitan ice cream sandwiches offer an irresistible change of pace.